For over 40 years, GENERON has offered a full complement of products designed for Petrochemical, Environmental, Commercial, Industrial, Marine, Aircraft and Oil & Gas, with thousands of systems in operation worldwide. GENERON is a fully vertically integrated company offering turnkey systems to our customers. All of the GENERON® products listed here are fully supported by internal manufacturing groups (see Specialty Products). The breath of internal services was a result of the company’s drive to provide our customers with products with the highest quality and on time performance. Purchasing these services from outside sources at times compromises the company’s ability to offer the highest product quality on a time schedule acceptable to our customers. The additional services outlined in our Specialty Products section are critical to a system design and quality. This was one of the driving forces for GENERON to invest in the equipment and personnel to ensure that the functions utilized in its products are manufactured in GENERON facilities. When you purchase one of our systems you can be assured that 100% of the engineering, fabrication, and quality control were the responsibility of GENERON! GENERON has multiple technologies in the gas separation segment. Each technology utilizes a unique patented chemical structure to optimize the flow and efficiency of the product. GENERON® Hollow Fiber Membrane modules are manufactured in its Pittsburg, California manufacturing facilities. The Membrane Modules produced at this facility serve a very broad market segment. Each technology utilizes a unique patented chemical structure to optimize the flow and efficiency of the product. Nitrogen Membrane Modules – The highest efficiency and flow rate available on the market. GENERON offers a full complement of membrane systems utilizing its Nitrogen Membrane Modules. GENERON has the largest selection of Nitrogen Systems offered on the market with over 20 product offerings configured as: – Cabinets; Skids, Containerized and Custom Systems for every market. Additionally GENERON offers its modules to a number of selected OEMs for use in their proprietary systems. Oxygen Membrane Modules – GENERON offers various Oxygen modules to niche markets for highly specialized applications. Dehydration Membrane Modules – these modules are utilized for point of use dew point suppression in compressed air systems. Process Gas Membrane Modules – These modules have a very broad application in the petrochemical industry. GENERON® Adsorption Technologies are complementary to our Membrane Module product offering. Heatless Compressed Air Dryers work on the same principle as the PSA technologies. GENERON offers a full product line of standard dryers and also has the capabilities to customize the product for unique applications. GENERON offers a variety of Gas Processing Products which are uniquely designed and manufactured to meet customer expectations. GENERON prides itself in providing complete solutions to its client. GENERON utilizes its own proprietary hollow fiber membranes and adsorption technologies to custom design systems to meet customer’s unique process requirements. Vapor Recovery and Fugitive Emissions – A full complement of products designed specifically to profitably recover this valuable resource. Biomethane / Landfill Recovery – GENERON utilizes its knowledge in adsorption and membrane technology to efficiently remove CO2, H2S, Siloxane, water vapor and other trace gases to produce pipeline quality Natural Gas. GENERON’s wholly owned (HVM) ASME certified pressure vessel shop are supplied to both internal and external customers through its. Pressure vessels are designed and fabricated for low and high pressure applications as both standard and complex systems with internal trays, baffles and nozzles. HVM (Houston Vessel Manufacturing) provides GENERON with internal capabilities to ensure customer’s exact specifications are met. This provides our customers the assurance that the quality of the product is fully managed by GENERON. HVM (Houston Vessel Manufacturing) also is a major supplier of custom vessels to selected customers. Portable Nitrogen Generators – Multiple Packages with flow rates of up to 2,000 ft3/min / (3400 m3/hr.) in stock. Booster Compression Packages – Flow Rates up to 1500 ft3/min (2548 m3/hr.) at 5,000 psig / 344 Bar. GENERON is a global technology company specializing in the development, design, manufacturing and servicing of equipment for both process gas separation and purification technologies. Technology Development – GENERON at its heart is a technology company. It has over 120 patents. Its ongoing R&D activities continue to strive to develop new products to better serve our customers. GENERON has an extensive service team with certifications to work in every country and location. GENERON has been committed to the Quality of its products and relationships with its customers. 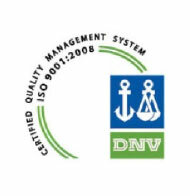 The company has been an ISO 9001 certified since 2000. GENERON strives to constantly improve the Quality of its operations. This encompasses not only products but also customer relationships. GENERON is committed to providing quality products and meeting customer expectations through continual improvement of engineering, manufacturing, product development and customer feedback. Finally and most important GENERON is committed to our employees safety. All employees undergo extensive quality training. This training focuses not only on work place hazards but every day circumstances. At GENERON, maintaining long term relationships, delivering creative solutions and the relentless pursuit of exceeding expectations is our passion and goal. Contact one of our engineering professionals today at +1.713.937.5200 or [email protected] for more information regarding custom process air & gas engineered solutions. Our international team is here for you!